Fairy Tale Review is an annual literary publication dedicated to publishing new fairy-tale fiction, nonfiction, and poetry. 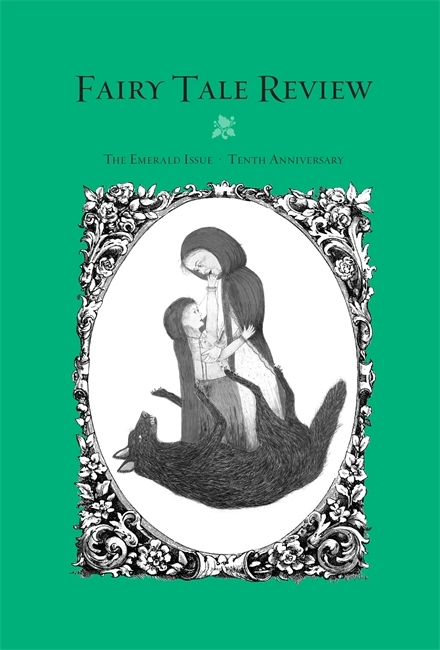 It seeks to expand the conversation about fairy tales among practitioners, scholars, and general readers. Contents reflect a diverse spectrum of literary artists working with fairy tales in many languages and styles. In the Emerald Issue, new stories, poems, essays, and artwork is inspired by the themes of "emeralds" and "Oz". In Frank L. Baum's introduction to The Wonderful Wizard of Oz, the author indicates that his story "aspires to being a modernized fairy tale" in opposition to the "historical" stories with all their "horrible and blood-curling incident".